In this paper, simultaneous maximization of generated ozone concentration and minimization of electrical energy consumption is investigated in a laboratory-scale electrochemical ozone production system (EOP). Neural network simulation of EOP was carried out for generated ozone concentration prediction by Abbasi et al. (Chem Eng Res Des 92(11):2618–2625, 2014). In this study, neural network models (as black box models) were developed to predict both generated ozone concentration and electrical energy consumption. The models then were used for optimization. Altruistic non-dominated sorting genetic algorithm with jumping gene variant and termination criterion was used for MOO. Generational distance and spread were used in the termination criterion in order to stop algorithm after the right number of generations. Moreover, several optimal solutions from the Pareto-optimal set are chosen and then validated experimentally. Authors appreciate Professor G.P. Rangaiah from National University of Singapore (NUS) for his valuable comments and editing the manuscript. Figure 8 shows the flowchart of Alt-NSGA-II-aJG with termination criteria. All operation in each stage was stated in each box. Some steps are marked as A, B, etc., and more explanation is given below. The readers are referred to Ramteke and Gupta  for more details. Step A: All chromosomes are decoded first and then are normalized. 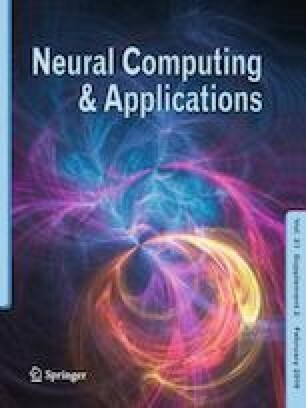 Calculation of objective functions (ozone concentration and electrical energy consumption) is carried out using trained neural network models. Stage B: Here, altruistic behavior is included. NQ chromosomes are selected (as queens) using tournament selection (with probability of 0.9) from the first Pareto front. The remaining chromosomes are chosen using binary tournament. The queens participate in crossover operations with other chromosomes. Step C: New individual is produced using improved crossover (i.e., two point three mates crossover) or simple crossover based on the probability of occurrence. Details on improved crossover operation can be found in Ramteke and Gupta . Steps D, E: End of second generation, GD and SP values are calculated. The SP can be calculated in each generation, but GD calculation needs solutions obtained in previous generation. Steps F, G: Here, if the generation number is equal to the predefined generation (NK) that Chi-squared test is carried out. Step H: If the termination criteria are satisfied the search procedure is terminated else search will continue.